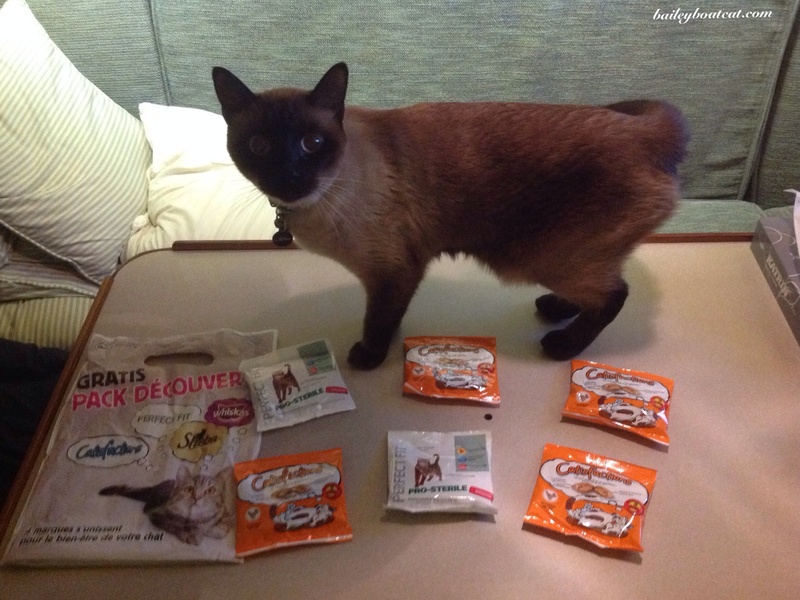 Today I’d like to say a big thank you to my furiend Chantal for sending me yummy cat treats all the way from Belgium! They are extra tasty because they were kindly sent via another furiend to me here for no reason at all! I’m very lucky to have such wonderful furiends. I’d also like to say thank you to all of you for supporting my new Film on Friday feature! I realised that in all my videos so far you haven’t actually seen me sailing so make sure you pop by tomorrow when I’ll show you how much fun it is to sail on Nocturne! « King of my castle! It’s always nice to get an unexpected package in the mail…so nice of your friend Bailey. 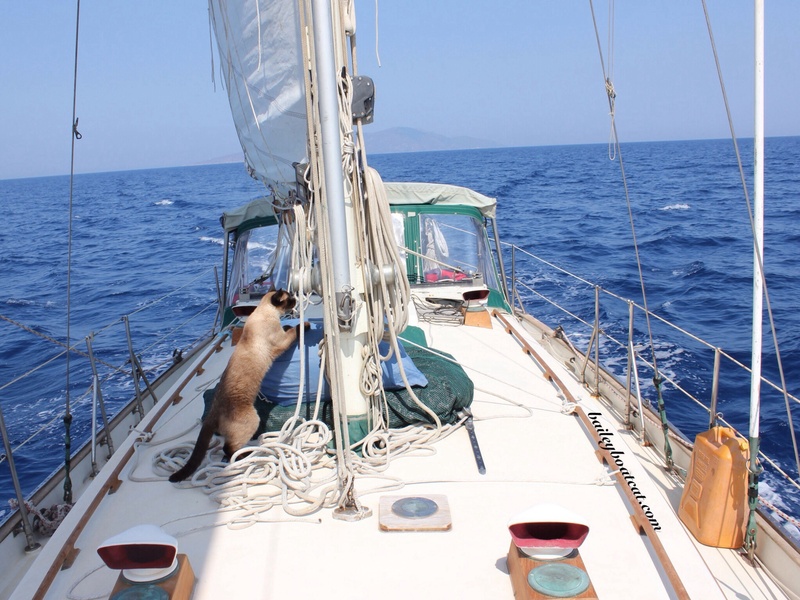 Your picture of you sailing makes us feel like we are all away from the hum drums of life! Looking forward to seeing you sailing tomorrow for Film on Friday ! Oooooo! Yummy cat treats! Sound nummy! how wonderful to get a surprise & have it be treats! Can’t wait to see video of you sailing, the photos are always wonderful, but video is even better. speaking of treats, yesterday I was handing one out to one of my girls and she knocked it off and I think it went into the baseboard. Ella spent all day trying to get it out. I don’t think she succeeded, but lo and behold and toy that had been “lost” was unearthed in the hunt. Treats – yum! 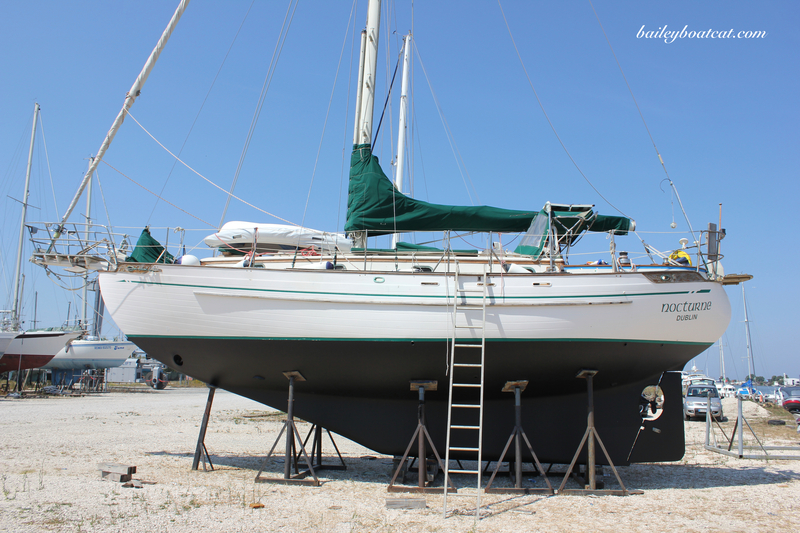 Sailing – yikes! Wow, you really scored some yummy treats, Bailey!